The toddlers of Jr.Kg. 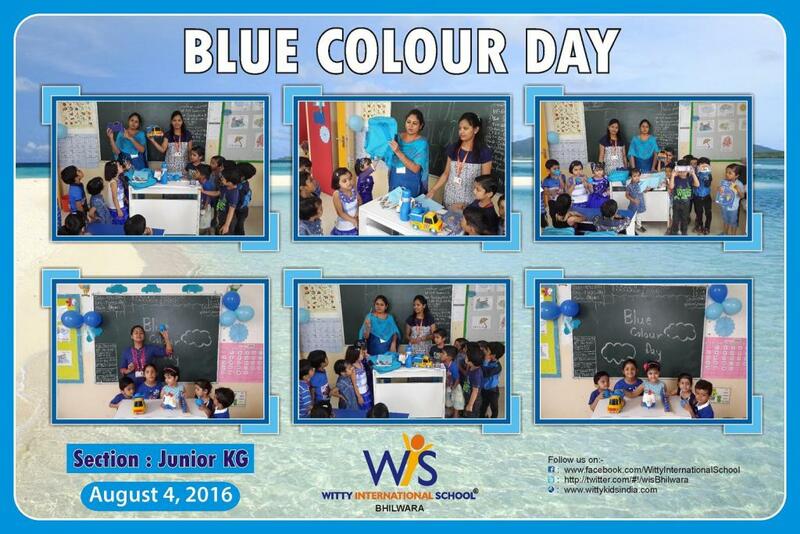 at WIS , Bhilwara celebrated blue colour day on Thursday,4th August 2016. With a lot of exciting activities . the entire classroom was decorated with blue color objects. 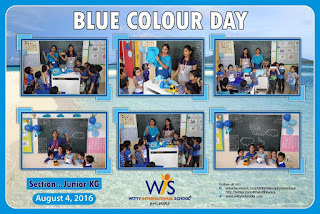 The tiny tots and their teachers came to school in blue coloured clothes and brought their favourite blue coloured objects such as ball, bottle, car, balloon etc. The kids watched the story of blue colour.